Last year Patrick Sherwin, a solar designer with experience living “off-the-grid,” started a KickStarter campaign to fund the GoSun solar over. A few months and $203,000 later, the GoSun has emerged as one of the top solar ovens on the market. Maybe it’s that it only takes 20 minutes to cool a meal. Or that it can get up to 550°F on cloudy days. Or that it weighs less than 3.5 lbs. Whatever the reason, we’re impressed. The GoSun is able to safety reach temperatures as high as 700°F by effectively retaining 90% of all sunlight that enters its reflectors. This powerful technology relies on the principles of parabolic reflection, evacuation (for its insulating value) and the Greenhouse effect, and an insulating vacuum between prevents the outside ambient temperature from transferring into the inner cooking zone, meaning that a hot meal can be prepared even in the dead of winter. 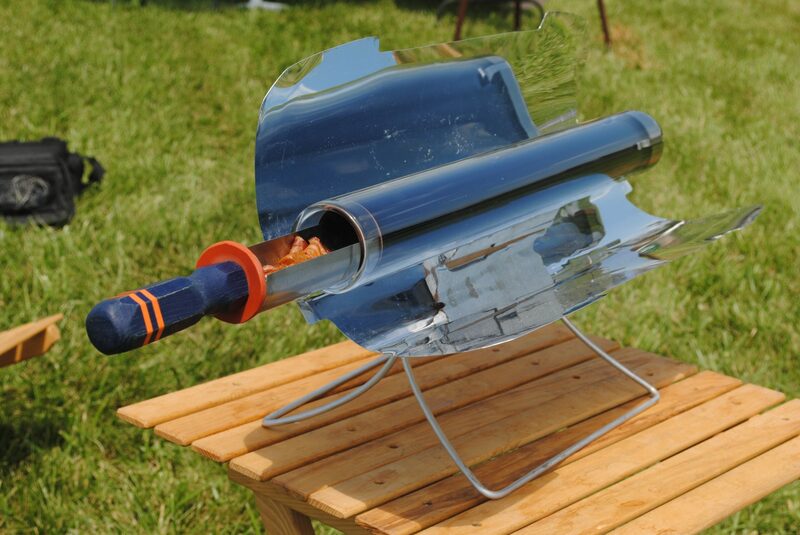 But what really sets the GoSun from other solar ovens apart is portability. Designed to be both mobile and durable, the GoSun weighs less than 3.5 lbs and can easily be packed in a backpack. And, because of the insulating vacuum separating the cooking zone from the covering, it remains cool enough on the outside to pack up at a moment’s notice. The GoSun is a simple, powerful and portable solution to fuel-free cooking. Small enough to bring on a camping trip but powerful enough to cook a hot meal even in cloudy conditions, the GoSun will appeal to anyone interested in minimizing their carbon footprint—and expanding their cooking options—while in the great outdoors.